It sounds easy to have your driveway done by someone else. But while you don’t need to do the physical work, there are plenty of things that can go wrong if you haven’t researched the contractor properly. 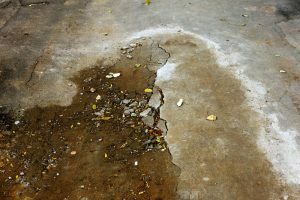 In today’s blog, we discuss some common (and costly) mistakes made by bad concrete contractors. While the price might be a factor influencing your final decision, a price that is far, far lower than your other contracting options might be a red flag. A drastic price slash may indicate a cut in quality. While an initially cheap job might sound appealing, the lower quality is detrimental for the long-term. Extremely low cost can mean the use of low-grade materials or a rushed job. In turn, this can cost you more in the future if you need to replace it eventually. Incorrect mortar mix ratios are one of the worst mistakes a bad concrete contractor can make. It is a job that is quite complicated, with many steps that require precision. The mortar is a crucial material and replacing it will cost you more in the long run if it hasn’t been done well. A contractor that may not be very experienced might time the project wrong. This means that they don’t account for the weather or season, which could potentially damage the work and cost you more to fix. A good contractor will know exactly what kind of mix is good for you, taking the climate into great consideration. Bad timing can also apply to how the contractor treats the concrete with sealant. If it’s applied too early or late, it can be less effective. This would affect how long your driveway lasts, potentially meaning you’d need to get it fixed far sooner than expected. This can negatively impact the budget you might have for your driveway. How do I avoid these things? The best way to avoid a botched and costly job is to research your potential contractor through unsolicited testimonials from other customers, as well as gallery images. A Better Driveway offers concrete driveway services in Melbourne that are reliable and cost-effective without compromising quality. Our work also comes with a 5-year structural guarantee. Check out the testimonials and gallery images for yourself!